Hey Cricket customers! Want a new phone that may or may not be better than the one you already have? You can get the new HTC Desire C, a dinky little 3.5" thing inspired by the One series. The Desire C features some of the things you'd expect from its higher end counterparts, like 25GB of Dropbox space, Beats Audio, and Sense 4, to go along with its 3.5" touchscreen and Android 4.0. Sure, it's not the best phone on the planet, but it's not a bad for Cricket. Because, let's face it - you chose Cricket as your carrier, so you can't expect the latest, greatest, and best phone of all time. If you're looking for more details on the Desire C, you won't find 'em in the press release. I know, because I looked. Cricket figures people don't really care about crap like that anyway. What is there, however, is the price: $179. It's supposedly already for sale on Cricket's site, but I can't seem to find it. I'm sure it'll show up there in a bit for all you early adopters. San Diego – October 31, 2012 /PRNewswire/ — Cricket Communications today announced the availability of the HTCDesire C. This premium designed, yet affordably priced smartphone is the latest device to join Cricket’s growing and dynamic smartphone line-up. 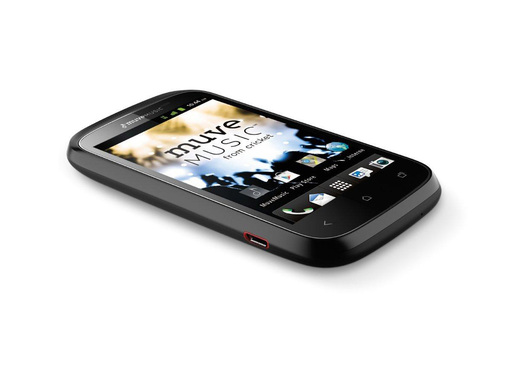 Featuring Beats Audio™ technology, The HTC Desire C allows users to hear their music just as the artist intended and will enhance the enjoyment of Cricket’s award-winning Muve Music service. The Desire C features a rich and powerful studio-quality sound experience that is enabled through the combination of optimized Beats Audio and amazing hardware. This integration enables a clear audio experience to customers no matter if they’re listening to music or playing a game. The HTC Desire C also enables easy management of customers’ professional and personal lives allowing for seamless sharing of the moments that shape them. It is available with HTC Sense 4.0 integrated with Android 4.0 (Ice Cream Sandwich). Packing a powerful battery and offering access to thousands of apps, games and movies – available through Google Play – users will always be connected and entertained whether at work, home or on the move. Packing the latest mobile technology into a neat, eye-catching design, HTC Desire C’s vibrant 3.5-inch HVGA full touch display makes it easy to browse the Web, view photos or connect with friends and family. For customers who like to share personal experiences with their social network, HTCDesire C’s 5 megapixel camera/camcorder and instant sharing capabilities will allow them to post any moment, seconds after it was captured. Through HTC Desire C’s deep integration of Dropbox and 25GB of free online space, users also have the freedom to securely back-up, browse and share thousands of photos, videos and documents, whether stored locally or in the cloud. The HTC Desire C is available at a suggested retail price of $179.99 now at Cricket company-owned stores, dealers and at www.mycricket.com. The HTC Desire C can be activated on one of Cricket’s three monthly smartphone service plan options starting at $50 per month. All Cricket plans, including smartphone service plans, feature all-inclusive pricing with no service fees and no overage charges. For customers, that means a predictable monthly bill, regardless of increasing usage, offered at a price point that fits into a value conscious budget. 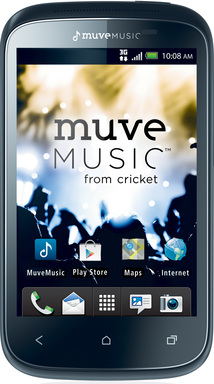 Muve Music, now included in Cricket’s unlimited nationwide talk, text, and data plus music Android rate plans at no additional cost, provides customers exclusive access to artist commentary, music and video through Muve Music’s monthly artist programs. With the ever-growing Muve Music song catalog, customers can choose from millions of songs featuring the hottest artists from thousands of record labels, which are distributed through Universal Music Group, Warner Music Group, Sony Music Entertainment, EMI Music and global rights agency Merlin, as well as independents IODA, and INgrooves. For more information about Cricket’s dynamic service and newest device lineup and to check for availability, visitwww.mycricket.com. To follow Cricket’s latest news and updates online, visit Facebook atwww.facebook.com/cricketwireless and Twitter athttp://www.twitter.com/cricketnation.